The Phoenix Petroleum Fuel Masters is scheduled for a head-to-head game against the Kia Picanto at 4:15 P.M. on December 27, 2017 live from the Ynares Center-Antipolo. After a loss from their respective first games, both the Picanto and the Fuel Masters are looking to bounce back and start a winning momentum. Having Jay-R Reyes, Rashawn McCarthy and Ronald Tubid in Kia’s roster the team is now having a winning morale especially their latest additions came from the San Miguel Beermen, a squad that always present either in the playoffs or in the championship game. Coach Chris Gavina have seen these changes to his squad compared to their last season’s campaign. 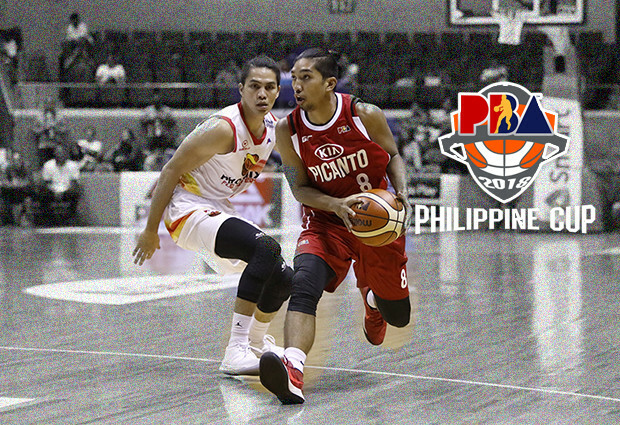 In their initial schedule, the Picantos have faced with now 2-0 record, the NLEX Road Warriors. They had the chance on winning the game but Larry Fonacier was able to make a four-point play which in turn the needed play to separate both squads. For Phoenix, they opened the 43rd PBA season and immediately dueled with the defending champion, the San Miguel Beermen. Newly hired coach, Louie Alas thought that the issue why they have lost against Fajardo led squad was because of of poor rotation and handling double-team. “Basta next time, I’ll be sharper,” Alas added.